Louise has been knee begging forever. That is when she quietly places her head on your leg and opens her big brown eyes really wide to say “please!” This particular picture, looking down from where I am seated, is of her daily (always around 3:30 PM) begging to go for a walk. 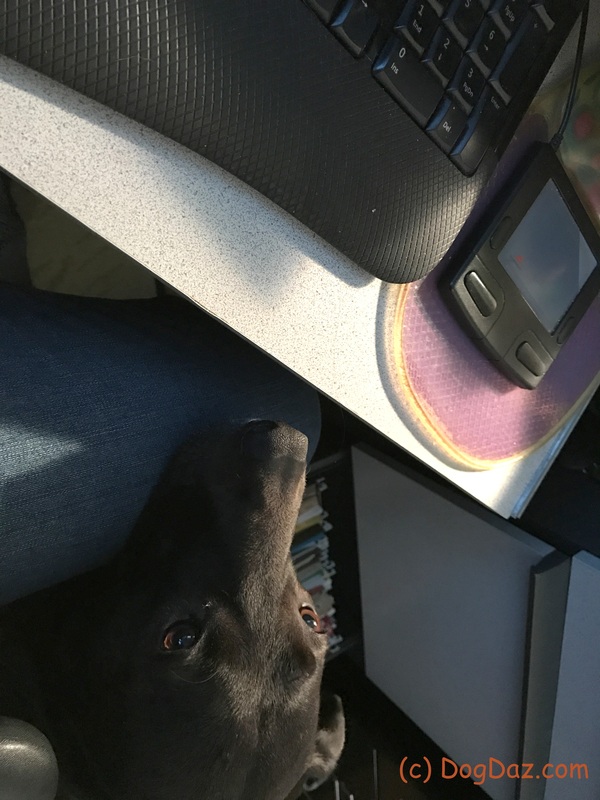 She gets tired of me sitting at my desk and decides it is time for me to get up and be with her. If I don’t respond she starts knocking my hand up when I am trying to ‘mouse.’ The funny thing is that Squash before her used to do this same thing. He would decide it was time for an afternoon walk and he would push my hand away from the keyboard with his big furry head. Once he passed over the rainbow bridge, Louise started doing this. She pushes my hand, but she is more into placing her head or paws on my leg. 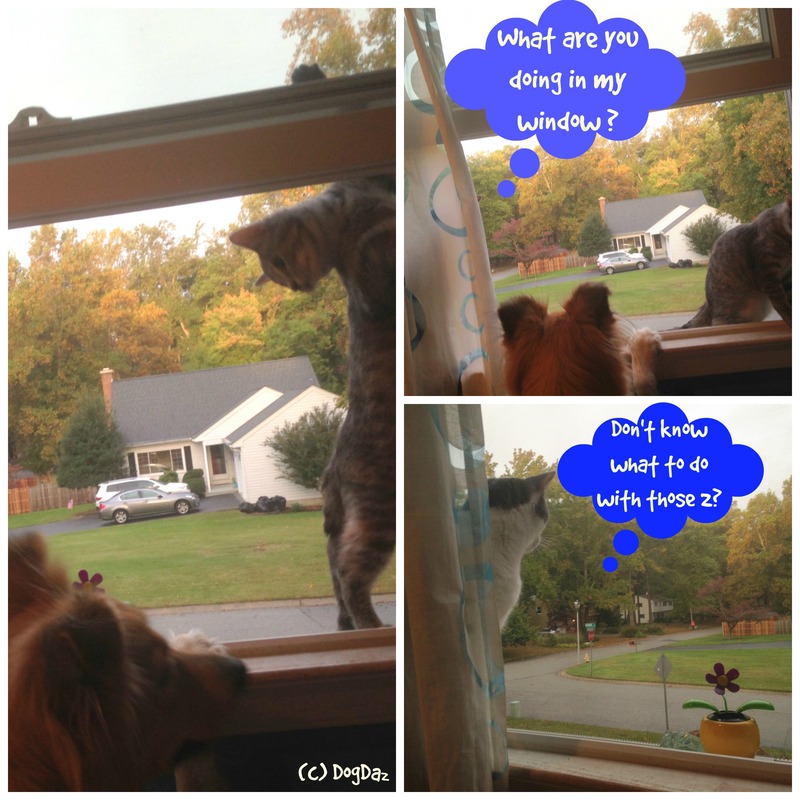 Wordless Wednesday: And The Password Is? Sofie Troll monitors all creatures, large and small, who want to pass from the lower realms to the upper. I don’t know how often she changes the password (I know I have to change mine every 90 days), but it does not appear that Nine has the current one. Good thing Mom has the override and can tell the Sofie Troll to move out of the way. Happy Wednesday. 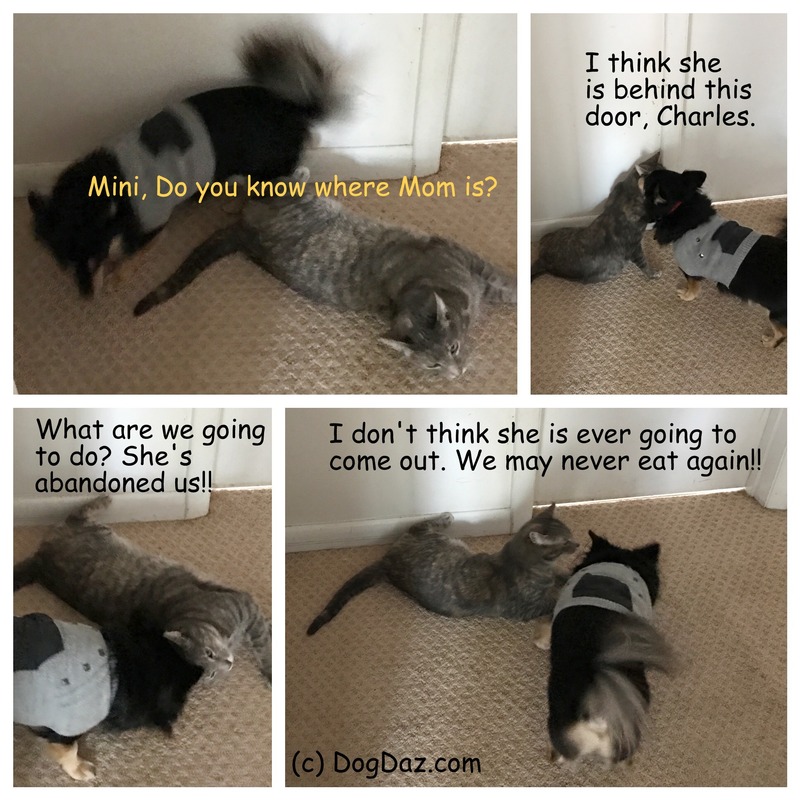 DogDaz Zoo: Do What I Say! 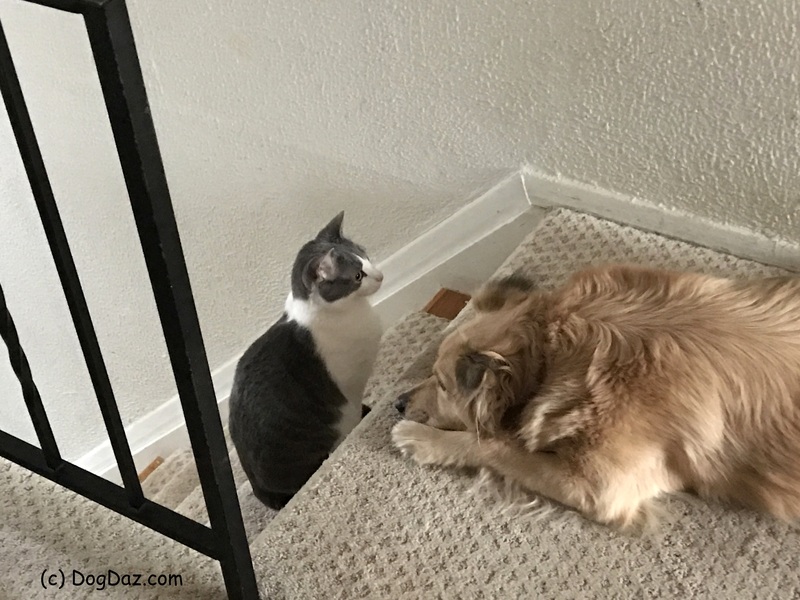 Comments Off on DogDaz Zoo: Do What I Say!